Another self organisation, PAY-DA – ‘Sharing and solidarity’ – has a building in Kadıköy, which is used for meetings and producing the Meydan newspaper. PAY-DA gives meals to people three times a day. It’s open to anarchists and comrades. The aim of PAY-DA is to become a co-operative, open to everybody. We try to create a bond which also involves the producers in the villages. We aim to have links with these producers and show them another economic model. We try to evolve these economic relations away from money relations. The producers are suffering from the capitalist economy. We are in the first steps of this co-operative and we are looking for producers to work with. After the 2000’s there has been an ideological change in the Kurdish freedom struggle. The Kurdish organizations no longer call themselves Marxist-Leninist and Öcalan has written a lot about democratic confederalism. This is important, but our relation to Kurdish people is on the streets. 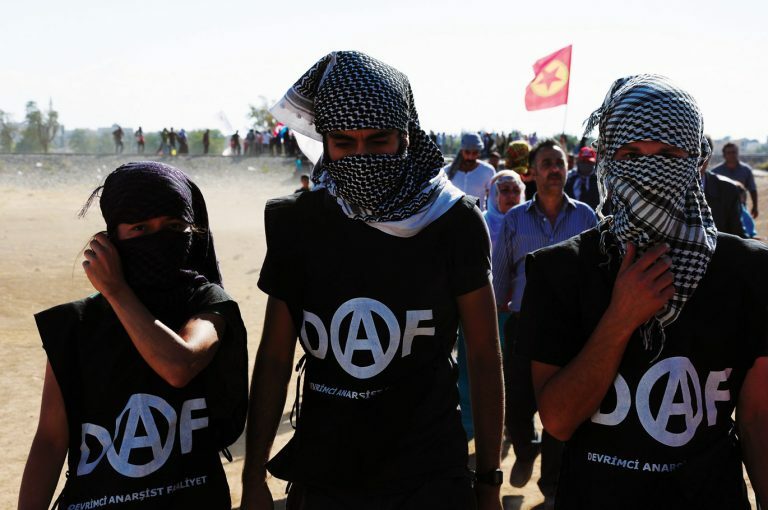 In Rojava they do not call it an anarchist revolution, but there’s no government, no state and no hierarchy, so we believe in it and have solidarity with it.